Gather your favorite droids, nerf herders, walking carpets and scoundrels and make plans to attend Star Wars Weekends 2014. We’re pleased today to announce the dates for next year’s Force-filled special event. Star Wars Weekends will be held every weekend (Friday, Saturday and Sunday) from May 16-June 8, 2014. Star Wars Weekends combines the power of the Force and the magic of Disney into a galactic special event that has become a fan favorite through the years. 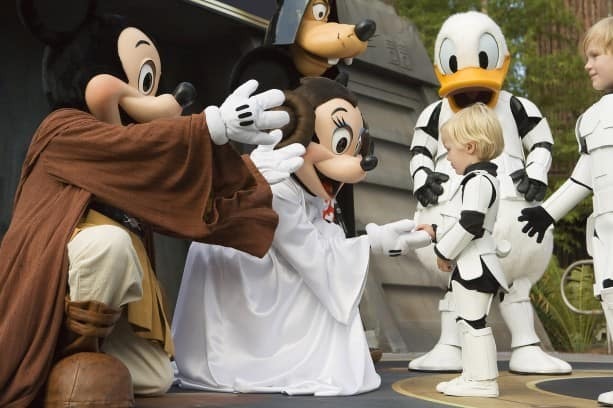 Star Wars Weekends features the largest collection of official Star Wars characters found at any theme park in the world, star conversations with Star Wars celebrities, a Death Star-sized motorcade through the park and plenty of entertainment fun for guests of all ages. 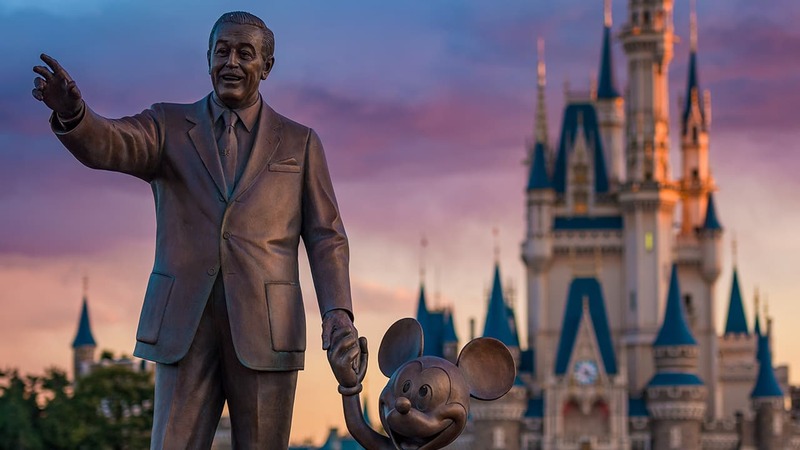 Stay tuned to the Disney Parks Blog and StarWars.com for the latest updates and details as they are released. And, check out disneytheforce.com for the latest in event information. Is the guest list confirmed yet? Will there be anything related to the Phineas and Ferb crossover episode involving Star Wars? I can’t wait!! I’m going to be dressing up as Darth Talon this year since I’ve been Padme Amidala the last 2 years. I can’t wait to enjoy with all of the fans! I’m hoping D-Tech is doing the Carbon Freeze Me or other personalized models this year.On page 37 of this months FineScale Modeler magazine there’s a pic of one of the carbonite figures in a Cloud city freezing chamber. I’d like to put a similar figure of myself in a Jabba Throne room environment. What is this years theme? Are the D-Tech Me experiences going to be offered this year? This is the first time I’ve been able to make schedules align so I can go. I’d love to do both the Carbon Freeze Me and the Stormtrooper. Will both be available and do I need a seperate reservations for each? How come we don’t see you in front of the camera any more?? Thank goodness I changed the dates of my trip! I originally booked a trip from June 13-16 but rescheduled for June 6-9. I wasn’t sure when the dates would be announced and wanted to book the trip as a surprise Christmas gift for my significant other. Hooray! Hi everybody, its a very special news yeahh…Me and mi brother, goes to USA and Disney exactly from 10 to 24 of May 2014′, its a long Travel from Chile SoutAmerica, Yeah finally will can see The Dart Vader, R2d2 and the alll characters! yeahhhhh im very happy, Star Wars Weekends will be prepare for the Chilean Brothers… May the force be whit you always!! We went last year during Star Wars days by accident – somehow we didn’t know and it was such a fun surprise! We are hoping to make it this year too! We’ll be there for Weekends I and II! Can;’t wait. My family and I are definitely coming back this year & need to book it soon now we know dates. My son’s favorite picture in his room is him with the Mickey Mouse droid with mouse ears on. Thank you for sharing this information. I believe my family rides Star Tours the most number of times in a row on each visit. On our last visit in August 2013, I counted fifteen in a row with a different version each time. It was a blast, but I did need a little stabilization after the last run. My son’s favourite character from Star Wars is C-3PO because he’s so shiny and friendly. I actually think we have a good chance at making a trek over to one of those special weekends you listed above!